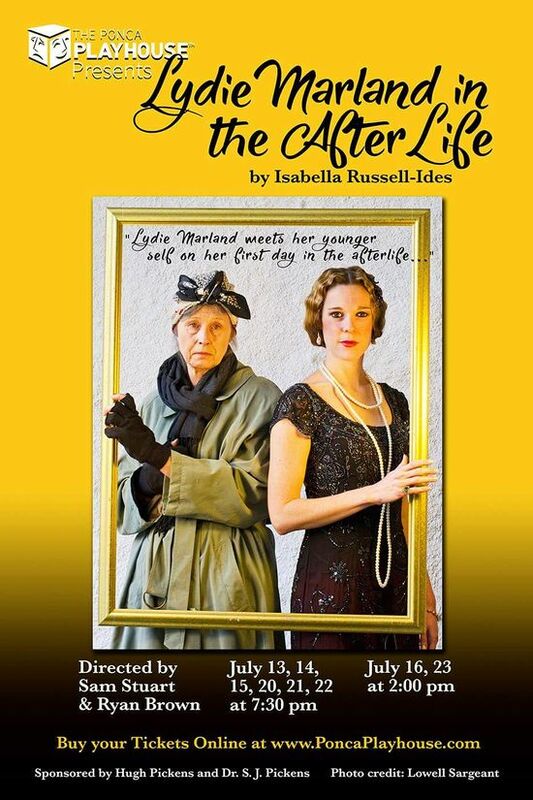 Ponca Playhouse Presents "Lydie Marland in the Afterlife". Russell-Ides’ play, in which the older, dead Lydie confronts her younger self, is a fascinating rumination on choices and tries to answer the question, “'If you could give yourself advice from years of experience, what would you say?” but really it answers, “What would your younger self say back?” And would you even trust old-you? The play will be presented at Ponca Playhouse at 301 S 1st St. in Ponca City, OK. Tickets will go on sale in June at the box office of Ponca Playhouse and will be $20. The box office is open Monday - Friday from 11 am to 3 pm. 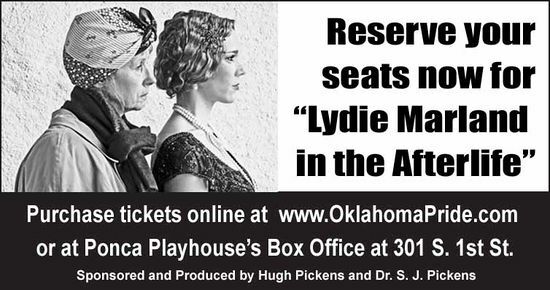 Ponca Playhouse Presents "Lydie Marland in the Afterlife". 3 Interviews with Cast and Crew of "Lydie Marland in the Afterlife"
3.5 Morgan Ham, "Old Lydie"
3.6 Shelby Cargill, "Young Lydie"
Russell-Ides' visit to the mansion inspired her to write the play “Lydie Marland in the Afterlife” that Ponca Playhouse will be presenting this summer as part of the "Oklahoma Pride" series. This will be the world premier of the two act play which was written especially for production by Ponca Playhouse and will be sponsored and produced by Hugh Pickens and Dr. S. J. Pickens. Loosely based on the life of Lydie Marland, as told in the book “The Marland Tragedy,” by Kim Brumley, the play follows Lydie as she returns to consciousness after her death and retraces her life as a debutante, wife of oil magnate E. W. Marland, first lady of Oklahoma, and as a vagabond who went missing for almost a quarter of a century. In the play, “Old Lydie” meets her younger self in the afterlife and comes to terms with her life as the niece and adopted daughter of Marland who later married him in a love affair that scandalized Ponca City as her life changed from a fairy tale of riches into a Greek tragedy. The cast and crew of “Lydie Marland in the Afterlife” have come to have a new appreciation of the many facets of Lydie Marland as they have developed their characters for the play. "Lydie Marland in the Afterlife" will be presented at Ponca Playhouse at 301 S 1st St. in Ponca City and will be performed on July 13, 14, 15, 20, 21, and 22 at 730 pm and on July 16 and 23 at 2 pm. Tickets are on sale for $20 at the box office of Ponca Playhouse. The box office is open Monday - Friday from 11 am to 3 pm. Tickets can be purchased by calling the box office at 580-765-5360 or purchased online at www.PoncaPlayhouse.com. Caption: Left to Right, All the Lydies and directors (but one) - Morgan Ham, Shelby Cargill, Ryan Brown, Sam Staurt, and Faith Greenhagen share a final moment at the conclusion of the successful run of "Lydie Marland in the Afterlife" at Ponca Playhouse on Sunday, July 23. Meghann Borum is missing from the photo. 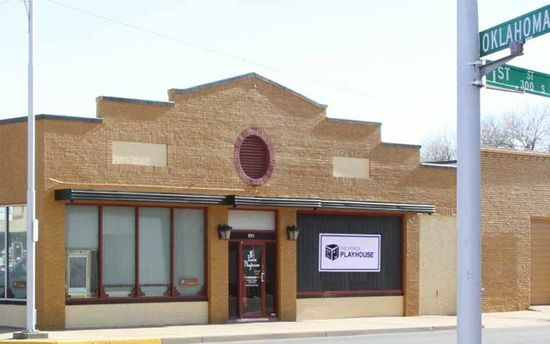 Ponca Playhouse did the impossible. We de-mythologized Lydie Marland. She is no longer the girl who was born in poverty and turned into a princess. Lydie Marland is no longer the girl who married her father. Lydie Marland is no longer a statue on a pedestal. 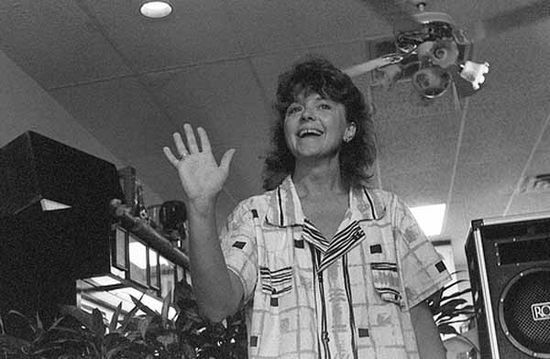 Lydie Marland is no longer the bag lady who wandered the streets of Ponca City. Lydie Marland is a real person. Thank to all the people who made "Lydie Marland in the Afterlife" a great success. The final performance on July 23, 2017 before a full house exceeded all expectations. Special thanks to Ryan's crew including Blake Brown (Stage Manager and Light Board), Shannon Dunnigan (Costumer), Ron Davis (Sound and Slides), Dave Guinn (Lighting Design), and Megan Phipps (Hair and Make up) for the contribution they made to the play's success. Special thanks to Sam's crew including Caroline Homer and Ron Davis (Stage Managers), Todd Stuart (Sound Design and Stage Crew), Bubba Keltch (Sound Board and Light Board), Kat Long (Costumes and Program Design), David Guinn (Lighting Design), David Wilkie (Lighting) and Megan Phipps (Hair) for the contribution they made to the play's success. Congratulations to Director Sam Stuart and her cast of Meghann Borum and Faith Greenhagen and to Director Ryan Brown and his cast of Morgan Ham and Shelby Cargill. Both casts gave inspired performances. See you next year for Oklahoma Pride. And the year after. Interviews with Cast and Crew of "Lydie Marland in the Afterlife"
Who was Lydie Marland to you? Lydie is very special to me because I had the opportunity to play her in “The Broken Statue” so that experience made me feel very close to Lydie's story so I was really excited to get to play her again in this show. I think what's so incredible about Lydie is she's more than just a pretty face. I think a lot of times she's just reduced to this beautiful socialite, the wife of E. W. Marland but she was more than that. She was so much stronger than I think a lot of people give her credit for because she went through so much and she just kept going when she could have just quit and given up. She just kept going and she was strong the whole way through. Lydie really had the spirit of a strong Oklahoman woman and it's very inspiring to me to try to live up to that and portray her as someone who is strong and more than just a wealthy socialite. What does the play “Lydie Marland in the Afterlife” mean to you? I'm going to be honest. When I first read the play I was kind of like “I don't know how this is going to go over.” But the more we worked on the play the more I loved it. I think the lines are very lyrical and at first I thought it was wordy but it's really beautiful when you start working on the script and putting some feeling behind the words. 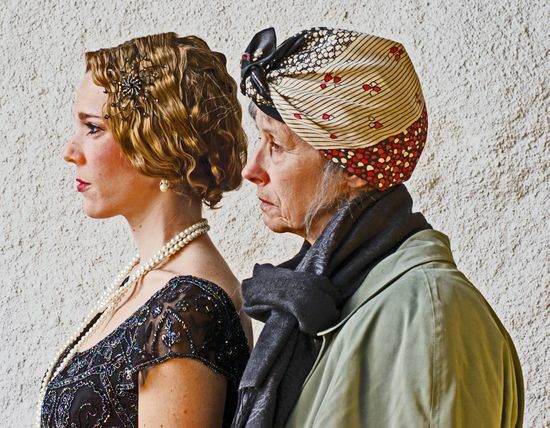 What I like about this show is that it examines the story of Lydie Marland in a new light, in a way that we haven't really seen at the Playhouse before. It's very different from “The Broken Statue.” I think it shows Lydie more as a real person and less as a fairy tale. You get to see that she had desires and interests and resentments outside of who she was under E. W. Marland's shadow. How are you interpreting the character? I played Lydie once before so I came into this thinking well “I played Lydie before so it shouldn't be too hard” but actually this Lydie is very different than “The Broken Statue” Lydie because it is gritty. It's more of a real person because “The Broken Statue” is a great show but it is more of the fairy tale. This play shows Lydie as angry, as bitter, and as resentful and she's she's upset about everything she's been through. She's not only just bitter but she's kind of angry at Mr. Marland. What's the most interesting part of being this play for you? I've always thought of the Marland story as a tragedy and I think a lot of people do and in most ways it is a tragedy but something that this play gets into and that we really try to show in our production is that even though Lydie lost everything materially she gained her freedom. 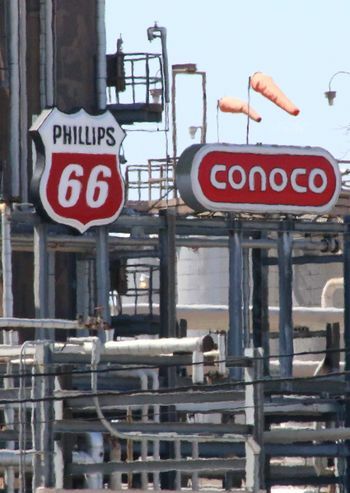 She roamed around the country all those years but she was the one calling the shots. She was the one deciding okay I'm going to go to New York now or I'm going to go to California and protest now. She didn't have anyone telling her what to do and in a way that's kind of kind of a little bit of victory. Lydie finally was able to own herself and be in control of who she was. What do you hope the audience will take away from this play? This is a very different show than “The Broken Statue” and I think a lot of people are going to come in and it might be a little bit shocking and there might be some things in the show that are hard for people to hear especially for Ponca Citians like me who have grown up just knowing the Marland story and the mythos surrounding that. I really hope that people will walk away seeing the Marlands as real people and not just a fairy tale because Lydie suffers and she did have real troubles. I hope that this show will make people think about Lydie and Mr. Marland in a new light and in the way they haven't before. Who is Lydie Marland for you? You know it's a funny thing because I when I grew up in Arkansas City and I visited the mansion a few times as a little girl but the story of the Marlands wasn't nearly the legend for me that I think it was for people who grew up in Ponca City. I always thought of Lydie as a sad character when I was growing up and she really isn't. The more I learned about Lydie, I learned that some some sad and terrible things happened to her but she made her own life. She made choices for herself especially after Mr. Marland died. It might not have been what all of us would have chosen but she chose a life for herself and that's what I respect. I loved the play from the first time I read it but I wasn't sure how it how it could be presented in a way that would be respectful towards someone who was a real person. It's been very powerful to work on it and it feels very empowering to play this woman who is coming to terms with her life and coming to terms with the choices she made for better or for worse. What does the character of Lydie Marland mean to you? I am a little bit of a method actor and I'm actually trying hard not to do too much method with this character because I don't want to get lost in her. There's so much fiction in this particular play. There are things that we know about Lydie Marland and things that weren't true or we have no proof of them so I'm trying to respect the things that we know were true and be careful with the things that we know that weren't true but play her authentically at the same time. What have you learned about Lydie Marland from this play? 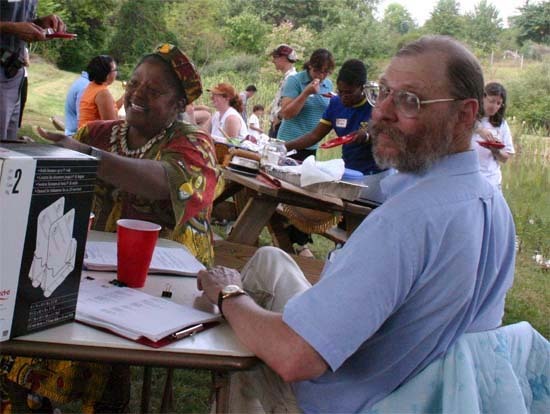 I had never heard a lot of the stories about, for example, buying the single grape in Miller's market and some of the other stories that I've heard since we started working on this. You know you get the museum version of the Marlands growing up, the public pretty version, but Lydie is much more human to me now and it's just made her more much real, much less statuesque, and that's where the real person is for me. What's the most interesting part of the play for you? The most interesting part is is working with Sam Stuart and working with Faith Greenhagen. Sam Stuart is an amazing director and she directs in a way that is so thoughtful and careful and precise but also very kind to her actors. She really lets you discover the role on your own and sort of guides you along and pull you back when you need it but that's always fun. For me as an actress you don't you don't get an opportunity very often to do a part like this that's so big and a real person. I love that. I hope they will take that Lydie was a real person that she had faults and she had wonderful things about her and she made her own choices and she was human. Young Lydie makes a comment at one point in the play about how people can come through the mansion and see her wallpaper and judge how she lived. If you didn't know her it's easy to walk through the mansion and judge it or walk through the Grand Home and judge it. I hope people will take that that this is a real person who had hopes and dreams and desires that none of us will ever know and that's a beautiful thing. I've never done a show quite like this this. This has been a neat process. Who was Lydie Marland for you? It's a very interesting question because not being from Ponca City originally I got a lot of mythology about her when I first moved here. My husband took me and we toured the mansion and you get a very distinctive image of her in your mind based on what you hear in the tour. When I was asked to direct the show I did some research on my own trying to find out who Lydie was based not on people who were in love with her. I tried to find some some relatively neutral people to do my research from and what I've discovered is that she was just a person. She was a woman who was in some ways a victim of the men in her life. In many ways Lydie was flawed, she was human, she wanted to be loved, but she wanted to be her own person and I think one of the things that this play will bring out is the fact that she was her own person at the end. She did finally get out from under Mr. Marland's shadow and become somebody whether it was the person she envisioned herself being or not. She became somebody who was Lydie Marland instead of Mrs. E. W. Marland. There's a big distinction there. What does the play “Lydie Marland the Afterlife” mean to you. To me this play is about identity and ownership. In a lot of ways women in the early 1900's were owned by their men, they were owned by their fathers, they were given away, they were owned by their husbands. In the end nobody owned Lydie Marland. She owned herself. She became her own person. Whether that person was the glamorous woman that she started out as, that's not the answer. The answer is that she became her own person, she developed her own identity, and she owned herself and she owned her mistakes. Lydie was not perfect. She was flawed. She was human but those mistakes that she made she owned them and I think that's one of the things that this play shows is that she was a flawed human being. She wasn't a princess. She wasn't an angel. She wasn't a demigod. She was a woman. What have you learned about Lydie Marland from directing this play? I have learned that there were probably some very kind people in this city and some very cruel people in this city. I've learned that Lydie was probably taken advantage of because of who she was and what she had. She's kind of a tragic figure in a lot of ways where you get this rags to riches and back to rags story behind her. She didn't age gracefully. It wasn't Sunset Boulevard where she went out with the lights. She was probably pretty unhappy toward the end of her life but trying to make the best of it. What's the most interesting part of directing this play? The most interesting part of directing this play has been working with the two women that I have in my cast because they're fabulously talented and these roles are so challenging to both of them. It's very difficult for a 30 year old woman to play an 85 year old woman and then pull that back to a 52 year old woman. It's a lot easier to do 85 all the way through so watching Megan and watching what she's done with her body and her voice to bring that character to life has been truly amazing. Watching Faith's progress and watching her gain confidence has been really beautiful to see. I'm very proud to be working with both of these women. I hope that when the audience leaves they see Lydie Marland as a human being not as an icon and not as some sort of mythical figure but as a flawed, happy, sad, beautiful, human being. This page was last modified on 10 April 2018, at 23:49.